Hi all, forum newbie here. 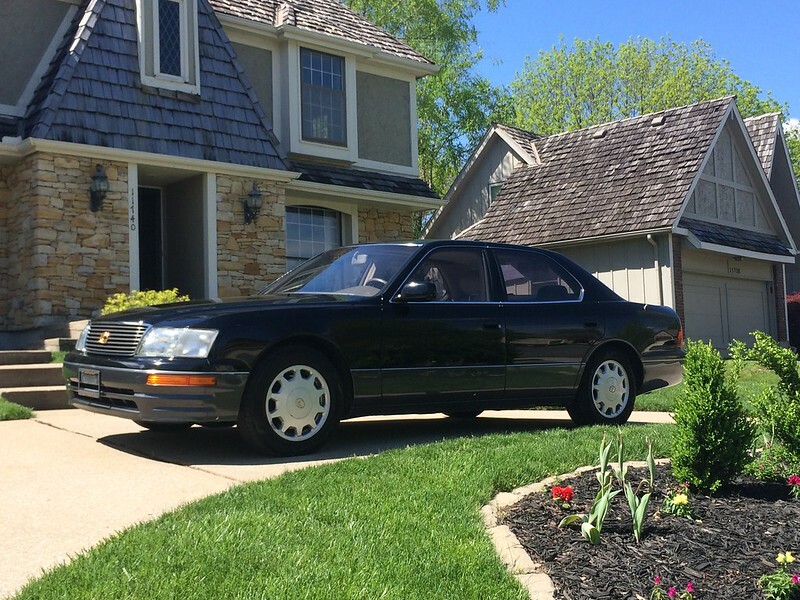 I've lurked on the forum for the past year or two of relatively issue free ownership of my 97 LS with now 125,000 miles. However, while driving from St Louis to Little Rock last week it started to make an odd noise and I can't quite figure out what it is. I've already searched various alternator threads and while it seems similar I'm not quite sure. It's most noticeable under acceleration up to ~40mph (road noise drowns it out after that). Sounds like a whine increasing with engine speed coming from the front of the car. I took a few videos of it on the way home from work today and then while parked in the garage. Is this the alternator starting to go or something else? Or am I just paranoid and OCD about this car? The kicker is I'm new to the Little Rock area so I don't want to start throwing money at repairs at shops I don't know if it's not needed, but I need to be able to drive 650 miles to and from St Louis this weekend. Thanks all! Our Solara started making an odd noise like you are describing. It was especially noticeable when accelerating. I purchased a cheap automotive stethoscope and confirmed the noise was coming from the alternator. You could hear it plan as day. Sharp ride! Thanks for the quick reply and compliment! The pic was the day after I got it and detailed it in and out. Was yours a similar volume? How long did you wait before replacing or did you just replace immediately? Not sure what you mean about similar volume. Our 2002 Solara (2 door Camry) made the noise for many months before I got the stethoscope and confirmed the issue. At 55-75 mph I did not even notice the whine, only taking off from a stop. I believe it was the bearing going out. I had a long distance trip planned and wanted to drive it so I replaced it before leaving. It was not an everyday driver so I had time to order a replacement Denso unit. I sold that car when I got the Lexus I'm driving now. If it's a whirlling noise or somewhat higher pitched then it could be your power steering pump. I believe it's more common with these cars. If it's that, you'd want to resolve it quickly. For some reason they put the alternator right under the power steering pump, so if it leaks it could short out your alternator. Video was not working for me either. Hmm the video took a reload for me too. The link is active though if a reload doesn't work. Does that method work for you? In the wonderful 5*F temps St Louis had earlier this year my PS pump started to leak, which I promptly replaced a two days later. I do wonder if in the short time I drove it enough fluid got into the alternator to start its decay. Sorry it's not loading...I've tried again using the forum link function and here are the links themselves. Does that fix the issue? I couldn't hear anything abnormal in the first vid, but the second sounds like the PS pump is starved of fluid.